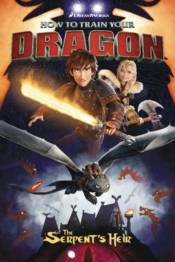 Picking up just after the events in How to Train Your Dragon 2, Hiccup, Astrid, and company are called upon to assist the people of an earthquake-plagued island. But their lives are imperiled by a madman and an incredible new dragon who even Toothless-the alpha dragon-may not be able to control! o Dragons writer, director, and producer Dean DeBlois is coplotting these stories. o Stories tie in to the upcoming 2018 film.